Tennessee offers fruit and vegetable gardeners a wide range of choice. This does not change based on where in Tennessee a gardener may live; it is only the recommended gardening dates that may change slightly. Tennessee gardeners wishing to make the most of the year should consider drawing up a formal garden plan before shopping or planting. Grapes, blackberries, raspberries, blueberries, strawberries, peaches, and apples are some of the fruits that grow well throughout Tennessee. Tomatoes, potatoes, peas, beans, squash, pumpkins, and cucumbers are some vegetables that do well, too. The University of Tennessee Cooperative Extension has specific recommendations regarding cultivars (plant varieties) that are known to do well in Tennessee. These cultivars are preferable due to their resistance characteristics regarding known plant diseases in Tennessee. Cultivars other than these can be grown, but the risks of problems may be greater. Tennessee gardeners are lucky, because there are three distinct growing periods for fruits and vegetables throughout the state. Gardeners can plant early, mid, and late-season crops. The main concern is temperature, as some vegetables and fruits prefer cooler temperatures and stop producing in hotter weather. These include lettuces, leafy greens, peas, and strawberries. 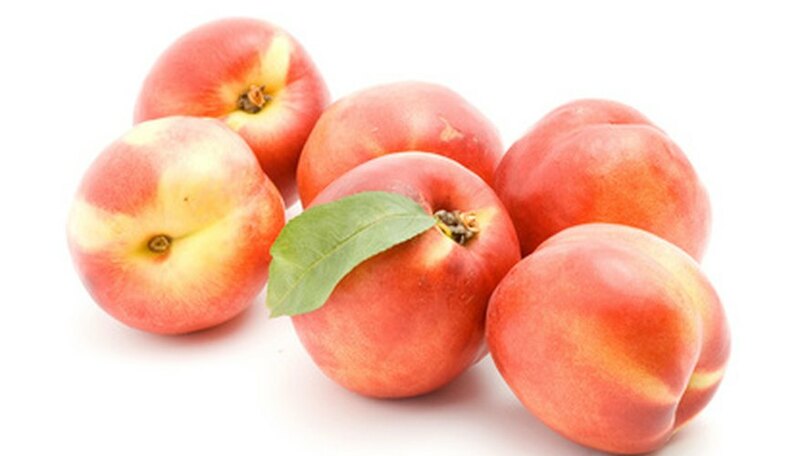 Others require hot weather to produce, including tomatoes, cucumbers, and peaches. Gardeners should note that even hot weather fruits and vegetables may suffer when temperatures climb above 90 degrees Fahrenheit regularly over any given period of time. The University of Tennessee cooperative extension has specific information regarding which plants should be planted at what time of year. Gardeners should note that this information varies considerably by species. The state of Tennessee is wide, and as a result, has three main regions in terms of gardening. The University of Tennessee Cooperative Extension has established three sets of recommendations for vegetable and fruit planting. Eastern, Middle, and Western Tennessee each have separate planting dates mentioned throughout the University of Tennessee Cooperative Extension's available planting literature. Gardeners should heed the advice that is applicable to their region for best gardening results. When gardeners first start out, it is tempting to think about all the possibilities that fruit and vegetable gardening affords. It is also easy to get carried away in the excitement of trying new things. Gardeners in Tennessee should take advantage of the vast catalog of information that the University of Tennessee Cooperative Extension makes available to them. Above all, gardeners must take the time to draw up a garden plan that spans as many growing cycles as a gardener wishes to engage in over a year. While a well-planned garden may seem a restrictive task at first, it actually frees a gardener to enjoy her garden. By not having to worry about how she is going to fit everything into the space she has available, a gardener has more time to enjoy the simple acts of planting, tending, and harvesting her fruits and vegetables. Fruit and vegetable plants in Tennessee face a wide variety of pests and diseases. The University of Tennessee Cooperative Extension's list of cultivars that do well in the state takes the disease portion into account, listing disease-resistant varieties. Bacterial rots, rusts, verticulum and fusarium wilts, aphids, root knot nematodes, and Colorado potato beetles are just a handful of the problems that fruits and vegetables in Tennessee gardens may face over their lifetimes. Diseases are best controlled by gardeners choosing disease-resistant varieties at planting. Pests may be controlled by use of conventional pesticides, or the organic philosophy of integrated pest management (cultivating a beneficial system of plants and beneficial insects like ladybugs, spiders, and praying mantii to naturally control pest insects). What Vegetables Will Grow in Florida?